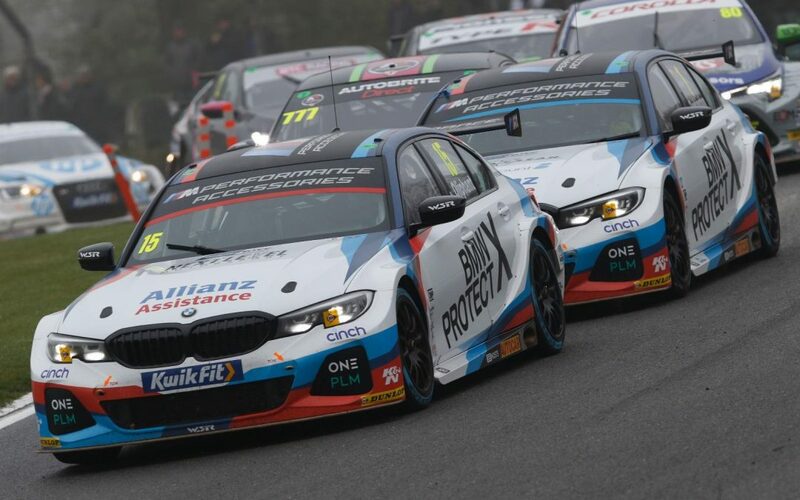 The first race of the BTCC is complete, as is the debut of the new BMW UK330i M Sport, but it was one of those races where the result didn’t reflect the performance of the three cars. Treacherous track conditions meant all the front-runners opted to run on Dunlop wet tyres, but the Brands Hatch Indy circuit dried out quickly and those on slicks gained an advantage. Pirtek Racing ran as high as second early on before slipping back to P15, while reigning champion Official Colin Turkington was P19. Tom Oliphant Racingfinished P22 on his team debut. Watch out for the fightback in Race 2!